The tibia and fibula are long bones of the leg. Of these two bones, the tibial shaft is the most frequent site of fracture. 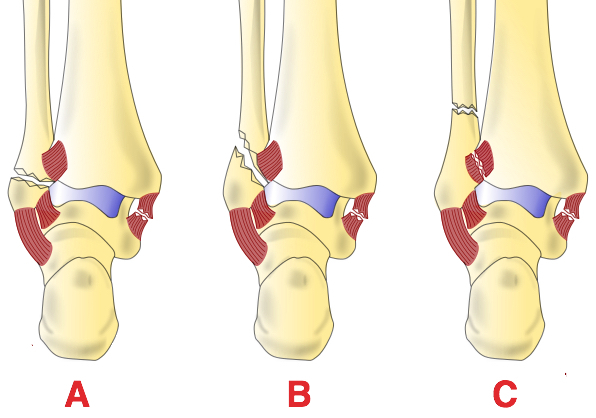 However, fractures can occur at multiple locations, including the tibial plateau, the tibial and fibular diaphysis, and the ankle. Each fracture type has its own mechanism of injury, classification system, and group of complications. In this article, we shall look at the pathophysiology, clinical features and management of tibia and fibula fractures. The tibia is prone to trauma due to its superficial position in the leg. Open fractures are common. As with any fracture or trauma, the patient should be assessed with an A to E approach, resuscitated as required. Importantly, assess for any evidence of compartment syndrome, especially in high-energy injuries. A plain radiograph (Fig. 1) should be obtained in all suspected cases, ensuring the entire tibia and fibula with the knee and ankle joints are included. In tibial plateau fractures and Pilon fractures, a CT scan is typically required to aid in operative planning. Ankle fractures can be classified via the Weber Classification (Fig. 2) and are useful in determining treatment. Type A occurs below the syndesmosis, Type B occurs at the level of the syndesmosis, and Type C occurs above the level of the syndesmosis. Intra-articular fractures of the ankle joint are known as Pilon Fractures. Only extra-articular fractures of the ankle joint should be termed ankle fractures. Other classification systems for tibial and fibular fractures include the Schatzker Classification for tibial plateau fractures and the Ruedi and Allgower Classification for Pilon fractures. Efforts should be made to preserve the skin and limit soft tissue damage, ensuring expeditious fracture reduction (typically performed under sedation). The limb should be placed in a back-slab initially (above-knee for tibial plateau and diaphyseal fractures and below-knee for Pilon and ankle fractures) before repeating neurovascular examination and obtaining a repeat plain film radiograph. If the reduction is not adequate, repeat reduction attempts will be required. Any signs of compartment syndrome should be recognised and managed early. In many centres, a compartment monitor is inserted for all high-energy injuries and diaphyseal fractures (irrespective of the energy involved). 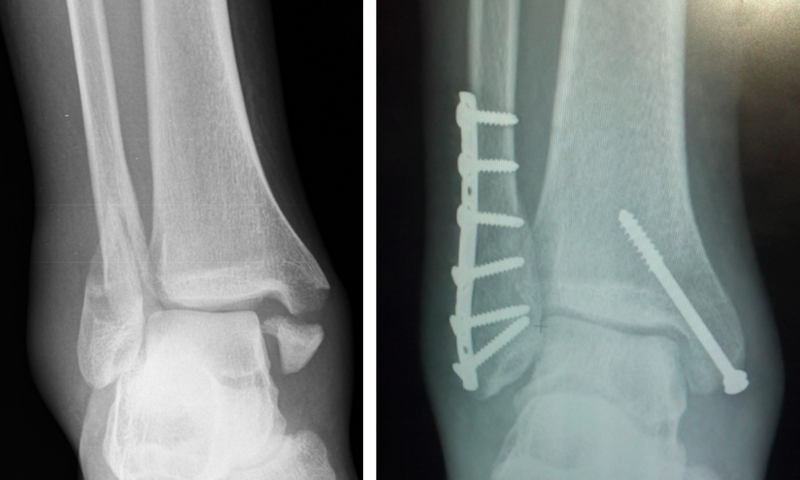 If the fracture is open, additional management is warranted to reduce the risk of contamination and infection. The broad principles are discussed below, however detailed management is discussed elsewhere on the site. The wound should be cleaned and any gross contamination removed. A photograph of the wound should ideally be taken, before being covered with saline-soaked gauze. Start the patient on IV antibiotics, as per local policy. Definitive management should be expedited. However, this can be delayed if presenting overnight to ensure a properly equipped theatre is accessed. Involve the plastic surgery team early if there is significant soft-tissue injury. The immediate complications following tibial or fibular fractures are compartment syndrome and neurovascular compromise. 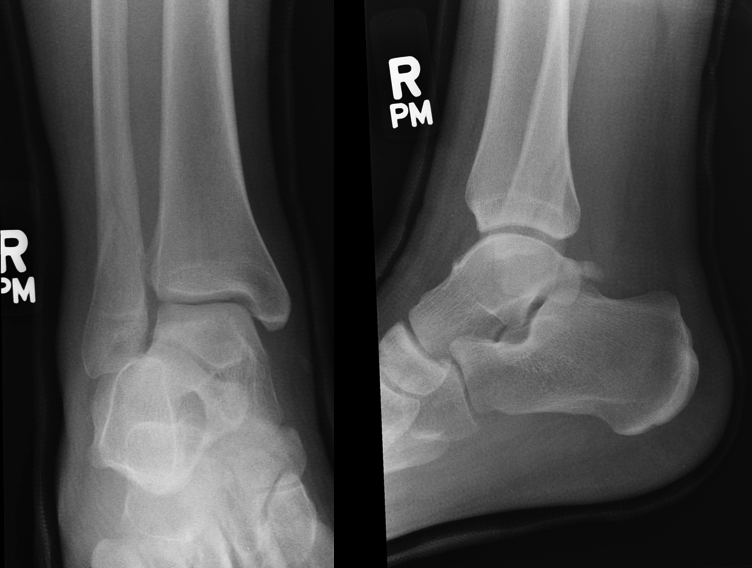 Malunion – the degree of angulation is important as it can lead to early onset osteoarthritis and further osteotomies maybe required for correct alignment. Non-union – high energy fractures with bone loss may cause slow bone healing and needs bone grafting to allow the bones to heal.